Promoting energy conservations and protecting the environment. And promoting the spread of Ene-farm, which is a efficient residential fuel cells, which uses LPG as its power source. 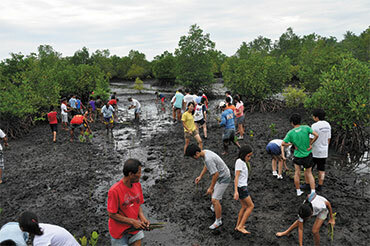 We have been planting mangrove trees on Bohol Island in the Philippines since 2010. Our system is set up so that a certain number of trees are planted based on ENE-FARM sales and the number of responses received to our “Orange Letter” questionnaire. 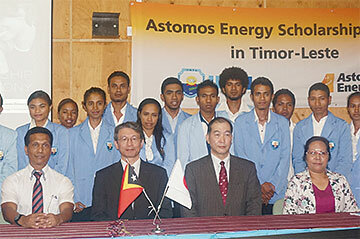 Astomos hopes to build stronger relationships between East Timor and Japan by training personnel who will contribute to the development of East Timor, a country where we procure LPG. Therefore, in 2015 we established a scholarship system as well as a study-in-Japan program for four-year students at the National University of East Timor. 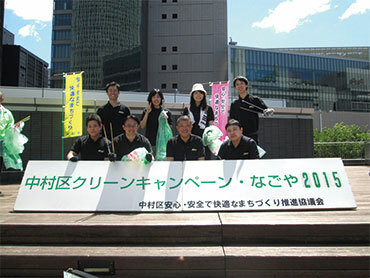 Mitsubishi Corporation & Sun Corporation (head office, Beppu City, Oita Prefecture) employs many hand capped people. It receives benefit program support from the social welfare service corporation and operational support from Mitsubishi Corporation. We support the activities of this business, we have contracted with it to provide services such as making business cards and envelopes for our head office and branch offices. Branch offices also contribute to their communities. 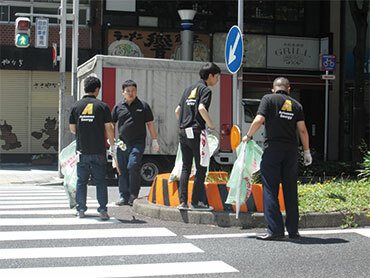 Participants in a cleanup day ( Chubu Branch Office). 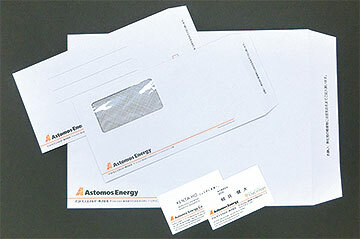 Copyright©Astomos Energy Corporation　All Rights Reserved.